M.A.M. 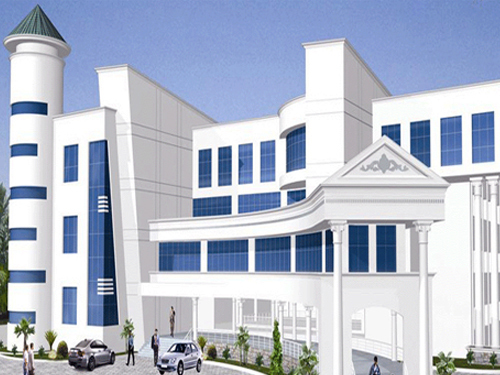 School of Architecture, Siruganur, Tiruchirappalli is patronized by Maluk Educational, Health and Charitable Trust. In this competitive environment in engineering education, M.A.M. School of Architecture (MAMSA) an off spring of MAM Group of institutions, having ten educational institutions, is well spread in a serene atmosphere in the heart of Tamilnadu in Siruganur, Tiruchirappalli , since 1999 MAM has already proved its commitment to provide quality education to its students. M.A.M.School of Architecture stands as a monument to witness the vision of Al Haj. M. Abdul Majedu, the Founder Chairman. Dr.S.Sathikh, Former Vice Chancellor, University of Madras and Chairman of the Governing Council of M.A.M. Group of Institutions.